The trouble with compact digital cameras released today is they have no soul or classic lines. 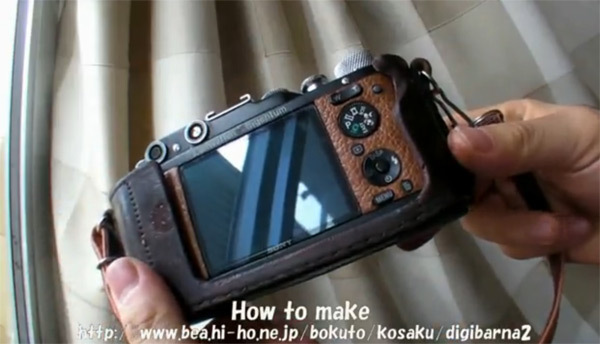 Well this cool mod uses a new Sony DSC-WX1 10.1 mega pixel camera and a classic looking Leica II camera case to bring back that lost soul. Even though the case is a fake Zorki 1 the effect is still the accomplished. The Sony camera has been completely stripped down and rebuilt inside the new Leica II case. The Leica case has been customised and all the operating buttons and dials have been meticulously fitted. Including the LCD display and the fully working zoom lens. You can check out the full construction details here.